Schedules are busy and time is short, but people with diabetes still need healthy meals to stay on track. Here to help is the Mr. Food Test Kitchen and the brand-new Guilt-Free Weeknight Favorites. Recognizing that weeknight meals are the most challenging home-cooked meals of the week, especially for those with families, work, or simply a shortage of time, this book was designed to help home cooks create healthy, delicious meals without falling into the trap of the fast food drive-thru or junk food delivery. This new collection starts with a foreword from NASCAR phenom and ADA spokesperson, Ryan Reed. Diagnosed with diabetes as a teenager, Ryan has overcome the odds to become one of the brightest young talents in the racing world. Hes also a strong advocate for proper nutrition and is on a mission to improve eating habits in a sport not known for healthy fare. The Mr. Food Test Kitchen has been whipping up quick & easy recipes for the everyday cook since the company was founded in 1975 by Art Ginsburg (a.k.a. Mr. Food) . Today, the Mr. Food Test Kitchen's nationally syndicated television segment hosted by Howard Rosenthal can be seen across the country. Beyond TV, their popular websites (www.MrFood.com and www.EverydayDiabeticRecipes.com) are home to thousands of free recipes, videos, and helpful cooking tips. In addition, their publishing division, Cogin, Inc. has published more than 50 cookbooks including multiple diabetic-friendly cookbooks in partnership with the American Diabetes Association. In stores you'll find the Mr. Food Test Kitchen's unique line of kitchen and housewares products designed to complement your table and make cooking stress-free. 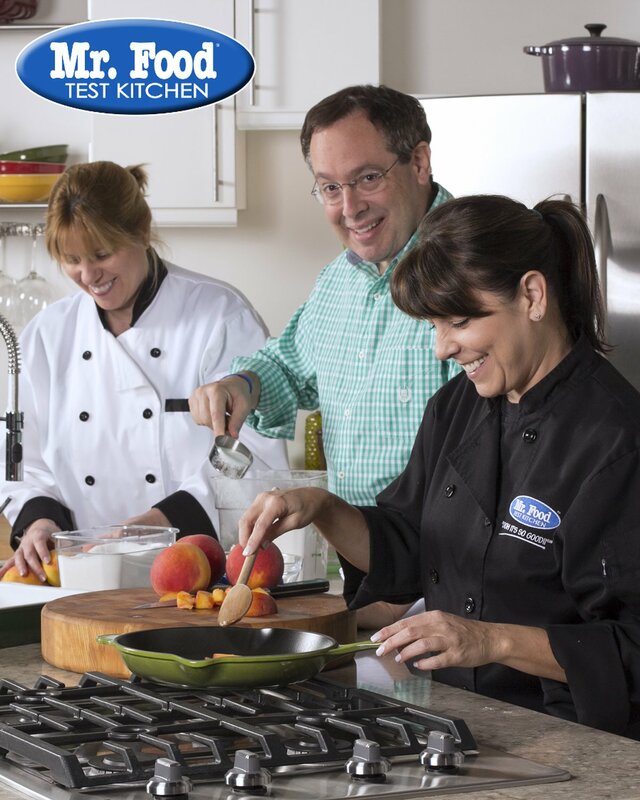 The Mr. Food Test Kitchen has been a trusted brand for more than 40 years and continues to have home cooks everywhere saying, "OOH IT'S SO GOOD! !®"